Well, to be honest we closed our eyes half the time. Horror movie buffs, we know you’ve been anticipating this movie for quite some time, ever since Conjuring 2 came out in 2016. 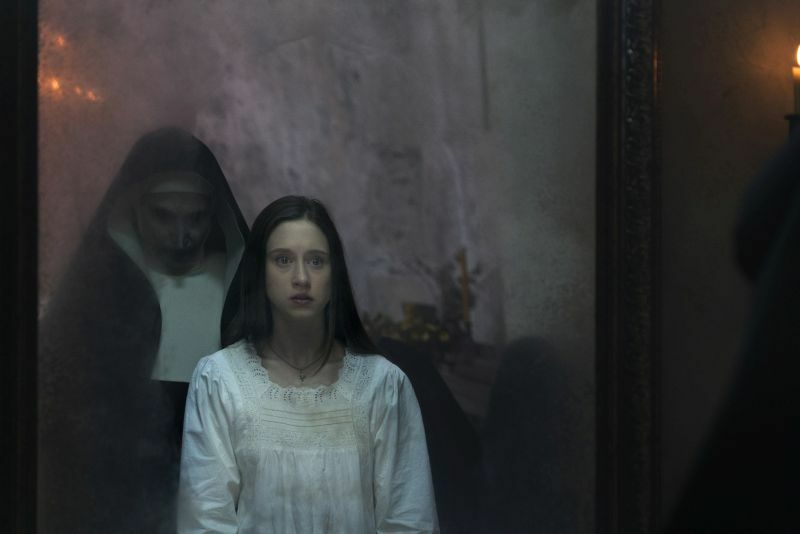 The next movie installment in the Conjuring universe, The Nun, is now in cinemas to serve up another scare. The film is a spin-off based on a character named Valak from Conjuring 2. Its long, white malicious face and piercing dark eyes left a lasting and nightmarish impression to whoever is ‘unfortunate’ enough to encounter it (including us viewers). The satanic nun left us with some serious questions like who is she and why do the Warrens have a creepy portrait of her in their possession? Thankfully for us, The Nun will give us all a backstory and the origins of Valak. 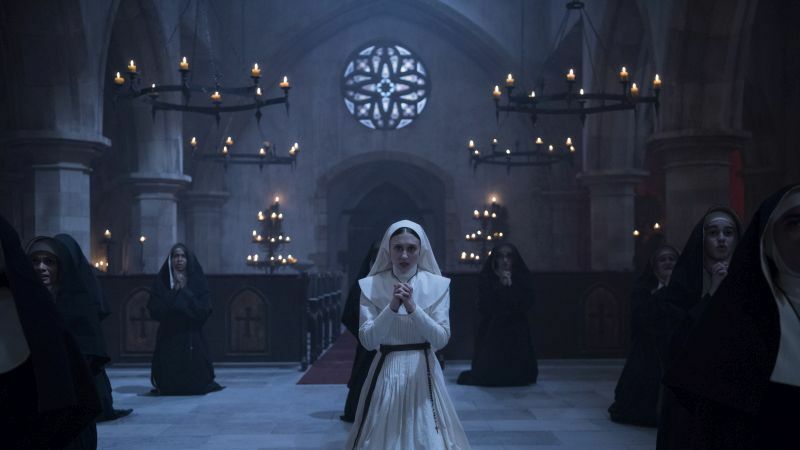 We were treated to an early preview of The Nun on Wednesday, and when we found out that it’ll be screened in the IMAX theatre, we were extra nervous. Who on Earth wants to watch a horror movie in a huge cinema, on the biggest screen you can ever imagine and don’t get us started on the sound system. So, is Valak as intimidating and scary as it seems? Or is it just all fluff and special effects? Here’s our review. #1 Is The Hantu Scary Enough? Well, when we were treated to an IMAX screening, obviously the ghosts or demons would appear bigger than on your normal cinema screen. So, half of the time we were closing our eyes and catching our breaths and hoped that we won’t be caught off guard when the ghosts come out (that being said, we recommend watching it on IMAX too). Valak is, without a doubt, the most creepy, demonic looking being that’ll haunt your mind. The movie opens with an image of Valak with its eyes piercing into your soul and sending shivers down to your spine to ‘warn’ viewers that there’s more of this fella coming soon. And the whole nun outfit also adds to the eeriness that surrounds Valak. For all the creepiness Valak brings to the table, there were certain things that ruined the movie for us a little bit. One, the inclusion of other demons in the movie make it feel a tad bit like a zombie movie. Also, we almost burst into laughter when Valak suddenly talked because it sounds a bit weird and out of character. Other than these two things, you can expect Valak to give you sleepless nights. 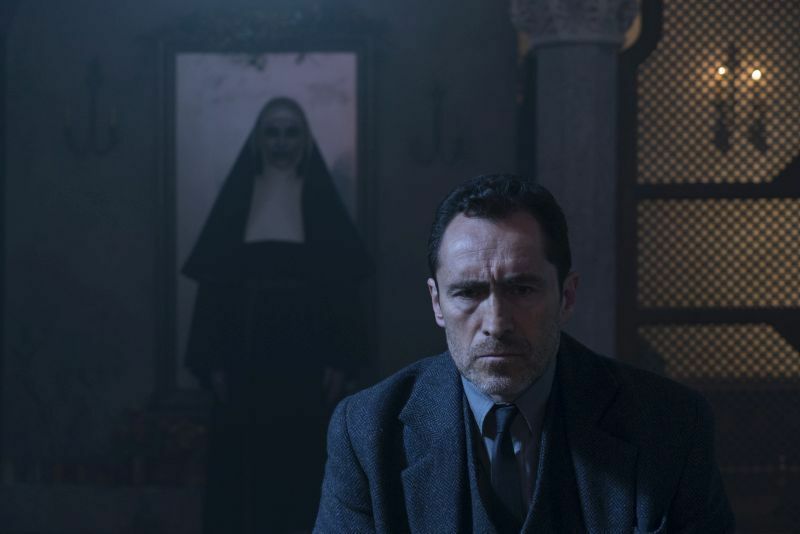 You would know by now that The Nun is an extension of the Conjuring universe and this film tells an in-depth story on the origins of Valak, hence the reason why it was set at a Romanian abbey in 1952. A priest, a nun in training, and a local villager met under unlikely circumstances and they make their way to the monastery to investigate the horrifying suicide of a nun. How horrifying was the murder, you ask? Well, let’s just say it’s been days or maybe weeks but the deceased nun’s blood is mysteriously still wet and fresh. The movie felt like a mind challenge, you don’t really know who to trust because one minute this person is someone else and another minute you don’t even know if he/she’s real. We were also a bit sakit hati because the characters are sometimes not so smart: like, who walks into the castle grounds in the middle of the night just because you heard something?! 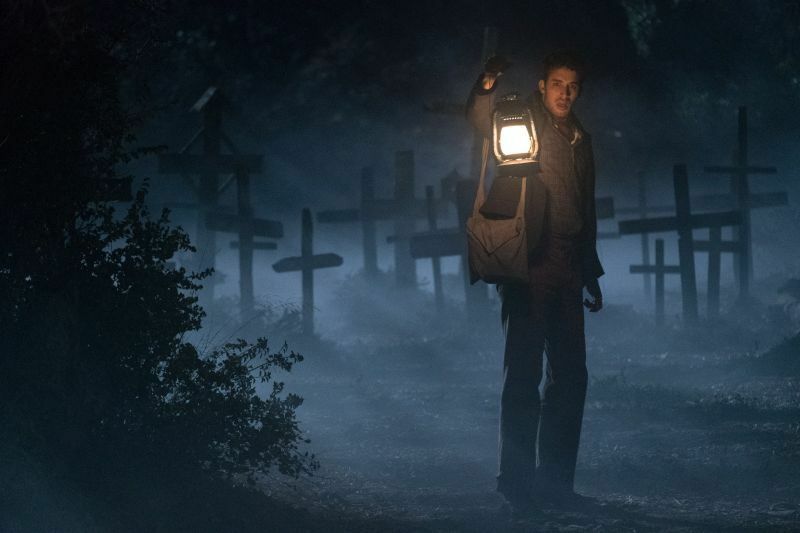 And a horror movie wouldn’t be complete if it wasn’t laden with jump scares, and this movie has plenty; some pretty predictable, some really got us screaming in shock. Overall, the flick has a good storyline but to be honest, the ending felt a bit meh or anti-climactic. We expected more, to be honest. 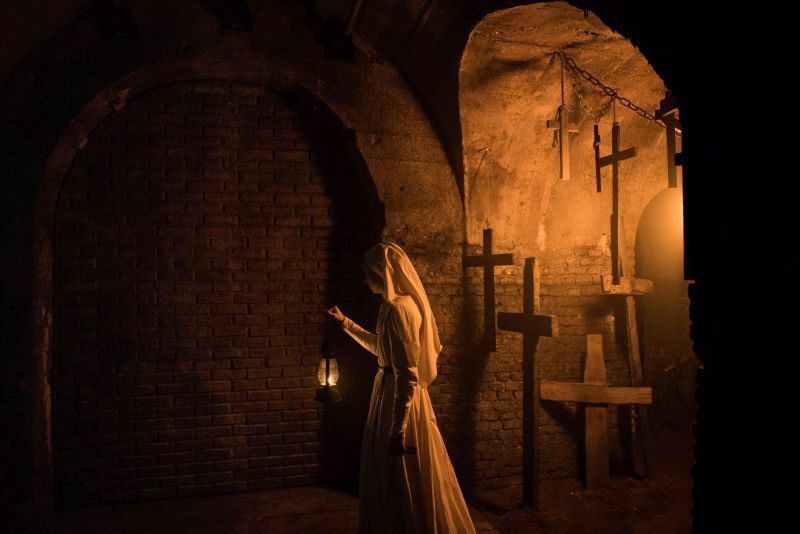 One thing we like about The Nun is how they pieced together the background music and special effects, which did a great job at giving us the goosebumps. The suspense and tension builds up perfectly, as the demons await to give you a good scare. To be honest, the music felt scarier than some of the ghosts. The makeup and special effects are highly commendable too. 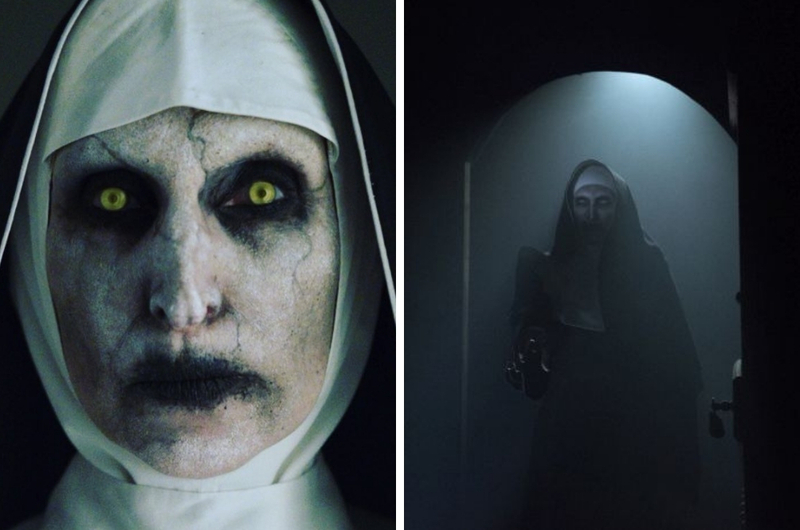 One look at Valak and you know you’ll be too scared to even walk to the parking lot after the movie or when you want to close your eyes and sleep! We also love the location of the film as the monastery itself has a sinister vibe to it. We’ve never heard of Taisa Farmiga (Sister Irene), Demian Bichir (Father Burke) and Jonas Bloquet (Frenchie) before, but now everyone should pay attention to them. All three of them had great chemistry. Oh, and can we just say that Frenchie is such an eye candy? However, the real star here is Valak, played by Bonnie Aarons. Valak can walk here, walk there, walk everywhere without uttering a single word and can still scare the hell out of us. Couple her up with a few more nun ghosts and you'll know you're in for a bad time. #5 Did You Know That Valak Is Based On A Real-Life Demon? 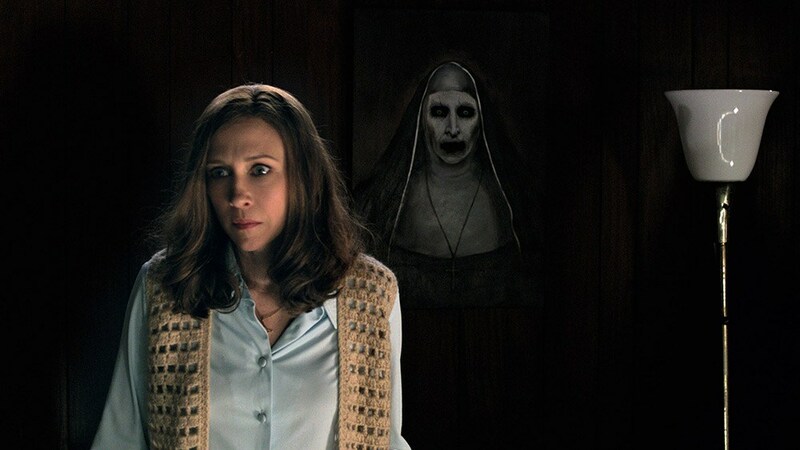 Just when you think that Valak isn’t real so it can’t come and haunt you at night, well, think again. 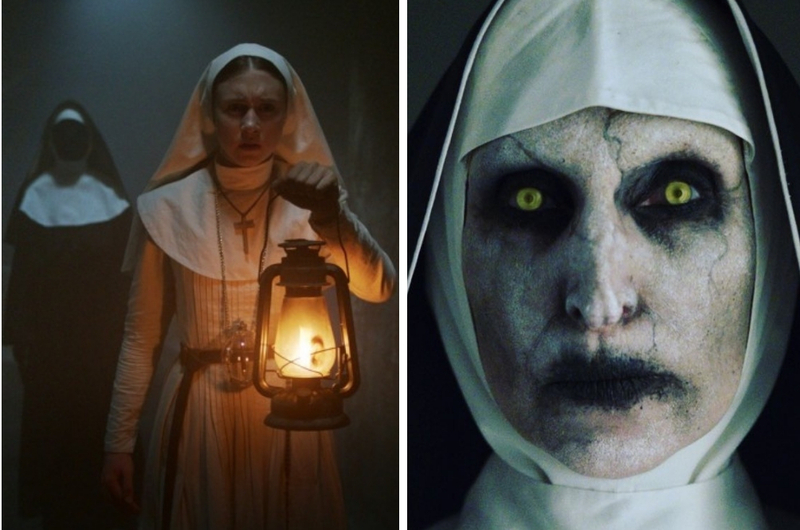 According to Digital Spy, Valak is based on a real-life demon, and the only things that separates it from the movie is that the real-life Valak doesn’t appear as a nun. 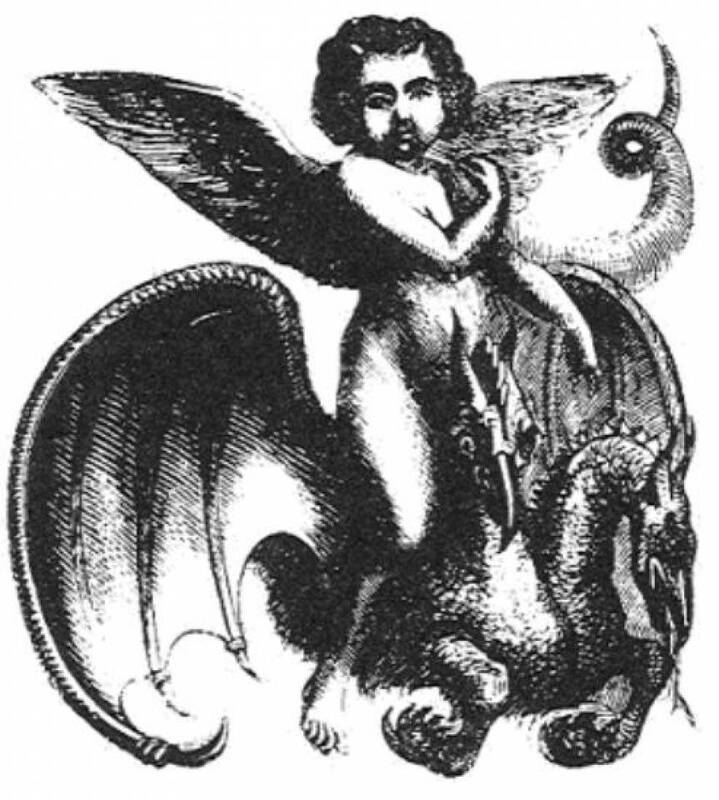 Also known as Valac, Volac, or Valax, the demon is actually a child with angel wings that rides a two-headed dragon. The demon is also the Grand President of Hell who commands the legions of demons and also has the power to ‘find treasures’. So, which version of Valak is scarier? The child Valak sounds more powerful than the nun version, but we’ve got to give props to the one in The Nun as it looks way creepier. If you’re a horror flick fan, then this movie should be on your must-watch list as it will also relate to the Conjuring universe. Truth be told, it’s not the best or creepiest horror movie we’ve seen before (ours is still Insidious), but we thoroughly enjoyed it - although we closed our eyes half of the time. We give the movie a 7/10 rating while Valak’s creepiness is off the scale. The Nun premieres in cinemas nationwide on 6 September 2018. Did Tom Holland Just Leak The Title For 'Spider-Man 2'?